How Soon Will Commuters Feel the Impact of LTFRB’s Move to Add 10K Slots to TNVS Supply? 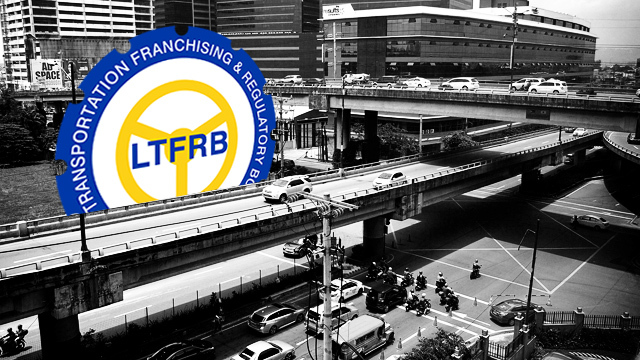 The recent decision of the Land Transportation Franchising and Regulatory Board (LTFRB) to open 10,000 new slots in the transport network vehicle service (TNVS) supply base in Metro Manila has been generally welcomed by all industry stakeholders. The move will increase the number of authorized ride-hailing private cars in the capital region from 55,000 to 65,000, the ceiling set by the regulatory body. The LTFRB said in a statement released to media organizations that it would start accepting online applications for the new TNVS slots by August 24. Related story: (Infographic) Is LTFRB to Blame for What Grab PH Calls a Rie-Hailing Vehicle Supply Crisis? But how soon will ride-hailing commuters in Metro Manila feel the expected beneficial impact of the LTFRB’s move? Many riders have been increasingly frustrated by the difficulty of booking rides on Grab and other TNVS platforms since Uber ceased operations in April, and want relief as soon as possible. Using the LTFRB’s website, vehicle owners can already fill out a digital application form as well as book appointments with the agency’s officers for the evaluation of their applications. However, the actual appointments will start only on Monday, September 3, according to LTFRB Board Member Aileen Lizada. Moreover, the agency can only process a few hundred applications a day, she added. “Starting on Monday, we will process 300 applications of those [TNVS] drivers who registered online on-site. Without any e-mail confirmation, the driver cannot be processed,” Lizada told Entrepreneur Philippines in a phone interview. That suggests it may take around 33 days or until the third week of October for LTFRB to complete the evaluation process of the 10,000 additional TNVS slots. LTFRB officials’ attention may also be distracted by a related move: running after ride-sharing vehicles operating without the requisite permit. Of the 55,000 TNVS in the LTFRB master list, only 18,741 have either a certificate of public convenience (CPC) or a provisional authority (PA), a temporary permit that needs to be renewed every 45 days. The regulatory body has issued a warning that those without permits have only until August 31 to apply for one. It also vowed to run after TNVS without permits starting September 1. Though it may take some time, the LTFRB is determined to boost the supply base to the maximum currently allowed by the agency. “We want to fill the 10,000 slots as much as possible and close the 65,000 supply base,” Lizada said. But market leader Grab Philippines argued that the additional 10,000 slots opened for new TNVS providers may no longer be enough considering the growth in demand for ride-hailing services. In a statement, it said that Grab is only able to efficiently serve four out of 10 bookings in Metro Manila, the lowest allocation rate in Southeast Asia. “LTFRB’s decision to open 10,000 new vehicle slots is a step in the right direction towards resolving the current lack of supply on the road but it’s not going to be enough. Replacing the inactive vehicles in the master list would be an additional measure that could go a long way in improving TNC service” said Grab in a statement. Of the 55,000 TNVS providers in the LTFRB master list created in February, only 42,000 were left operating with Grab after Uber ceased operations in April. And only 35,000 vehicles are active daily, Grab added. That is grossly inadequate to meet the over 600,000 daily bookings it gets on its platform, it said. In addition, Grab Philippines is also urging the LTFRB to consider increasing the TNVS cap in Metro Manila from 65,000 to 80,000. “We also appeal to the LTFRB to increase the common supply base to 80,000 vehicles (equivalent to 65,000 active vehicles) and review the demand quarterly, consistent with their earlier pronouncements,” said Leo Gonzales, Grab Philippines’ head of public affairs. Grab said increasing the supply cap to 80,000 will also be beneficial for other transport network companies (TNCs), or the operators of the ride-hailing platforms, as this will help them grow their supply base as well. Once a TNVS provider has acquired a permit to operate from the LTFRB, he or she can be registered in more than one TNC. As of August 2018, there are at least three TNCs operating ride-hailing platforms for private vehicles in Metro Manila: Grab Philippines, Hype Transport Systems Inc. and iPara Technologies and Solutions Inc., the company behind ride-hailing app Owto. Micab, another TNC that recently won accreditation from LTFRB in Metro Manila, runs a ride-hailing platform for taxis.